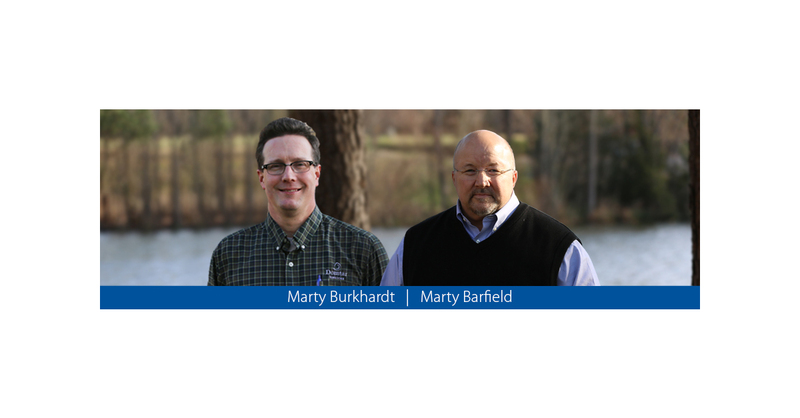 FORT MILL, S.C.–(BUSINESS WIRE)–Domtar Corporation (NYSE: UFS) (TSX: UFS) has announced two well-qualified leaders to manage its Kingsport, Tennessee and Nekoosa, Wisconsin, mills. Marty Barfield has been named manager of the company’s mill in Kingsport, Tennessee. Since September 2015, Marty has been the Plymouth Mill's pulp production manager, leading manufacturing for two softwood fiber lines and two fluff pulp machines with a keen focus on employee safety. He was instrumental in the mill's successful NC2 retirement and NC5 transition, including his leadership on a number of continuous improvement projects to increase the mill's output. Marty brings more than 30 years of experience to this role. He began his career working a number of technical, engineering, maintenance and operational positions at Procter & Gamble before joining Domtar in 1989, where he has served in roles of increasing operational responsibility at the Marlboro and Plymouth mills. Marty earned a bachelor's degree in engineering from N.C. State University. Marty Burkhardt has been named manager of the Nekoosa, Wisconsin mill. Marty previously was Nekoosa's operations manager, responsible for all aspects of safety, environmental, productivity, reliability and continuous improvement across Nekoosa's manufacturing operations. His commitment to reliability and continuous improvement has helped increase the mill's pulp production while also reducing its chemical usage. Marty's 20-plus years of diverse experience include roles of increasing responsibility in the pulp mill, paper operations, the recovery process as well as power and utilities at both Verso Corp. and Alliant Energy before joining Domtar in 2017. He earned a bachelor's degree in chemical engineering from the University of Minnesota – Twin Cities. Domtar is a leading provider of a wide variety of fiber-based products including communication, specialty and packaging papers, market pulp and absorbent hygiene products. With approximately 10,000 employees serving more than 50 countries around the world, Domtar is driven by a commitment to turn sustainable wood fiber into useful products that people rely on every day. Domtar’s annual sales are approximately $5.1 billion, and its common stock is traded on the New York and Toronto Stock Exchanges. Domtar’s principal executive office is in Fort Mill, South Carolina. To learn more, visit www.domtar.com.